Visitation and funeral services are scheduled for Wednesday April 25th. Visitation will be held at 10 – 11:30 AM at Harpeth Hills Funeral Home and the Funeral Service will begin at 11:30 AM. Military Honors will be observed at graveside following the service in Harpeth Hills Memory Gardens. There will be a fellowship gathering following the interment at Redeemer Lutheran Church, 800 Bellevue Road, Nashville, TN. Please use the rear entrance due to construction going on at the Church. In lieu of flowers, donations may be made to Redeemer Lutheran Church, 800 Bellevue Road, Nashville, TN 37221. George was born January 28th 1923 in Minneapolis, Minnesota. George served his country in WWII in the United States Navy in the South Pacific. His main role was as a Radio Man on sea planes which were used to move supplies and troops into the war zones. After returning from the war he went to work for Munsingwear for 23 years. He then moved to Nashville to take a position with Genesco. He retired while working for Bonitron. George was preceded in death by his wife of 55 years, Lorraine. George was active in the Church in his early life, holding positions such as counselor for the youth group and was part of the group of people who helped establish Redeemer Lutheran Church in Bellevue. George was also a member of the Sons of Norway Group in Nashville. Most of all, George loved to play golf. 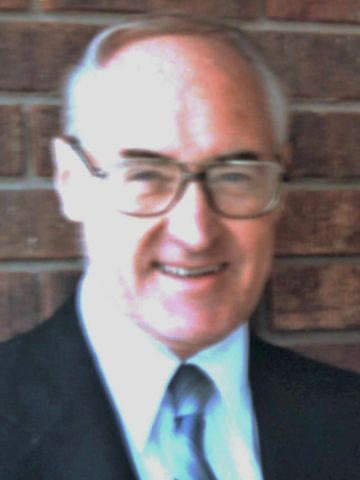 George Olson is survived by his three sons, Craig Olson (Nancy), Kevin Olson, Randall Olson, three grandchildren, Grant Olson, Jacob Olson, and Patrick Olson, two step-grandchildren Rachel Stone and Jon Morris, a great grandchild, Grant Olson Jr., nephew, Douglas Larson, and his niece, Sandra Bainbridge. For my nephews, Craig, Kevin and Randy. I send my heartfelt sympathies. I wish I could have been with you on your dad’s celebration of his life. I have many great and funny memories of your dad. Remember the good times. Talk about the good times. He loved your Mom, my sister, for 55 years.